Many many webmasters are complaining in the Google Webmaster Help forums that the reporting in Google Webmaster Tools specifically for the "Crawl Errors" section is stalled, delayed and not updating. I personally see it updated as of April 23rd, which was 15 days ago! Others are saying April 25th, but many also only see data up to April 23rd. Crawl error reports are probably one of the more important reporting features in Google Webmaster Tools, so to not have an updated report on those errors can be scary for many obsessed webmasters. Google has not yet responded to the concerns of webmasters about this report. Personally, I suspect there will be a fix soon and things will calm down a bit. 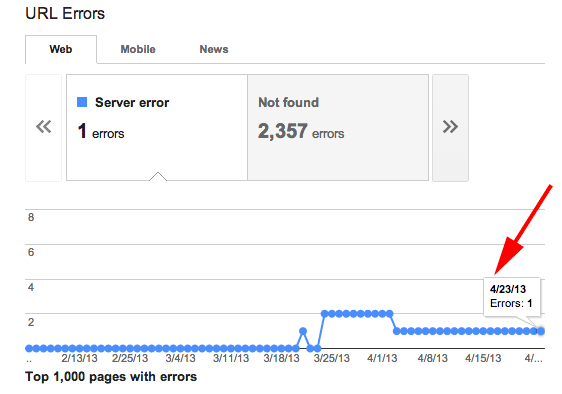 I should note, reporting errors and slowness in Google Webmaster Tools is nothing new.